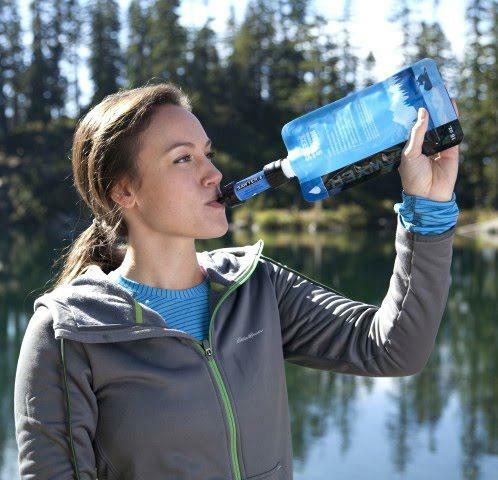 Anyone backpacking, basecamping, hiking or traveling needs water to stay constantly hydrated. However, we can’t drink water straight from the source (rivers, lakes, etc.) and store it. Why? It is to protect ourselves from water-borne illnesses that can be contracted through bacteria, protozoa, and viruses that are common in the backcountry. To drink clean water safely, you need filtration or/and purification system that is built specifically for backpacking purposes. There are several models on the market, and so it’s left to you to make your choice on which will best suit you. 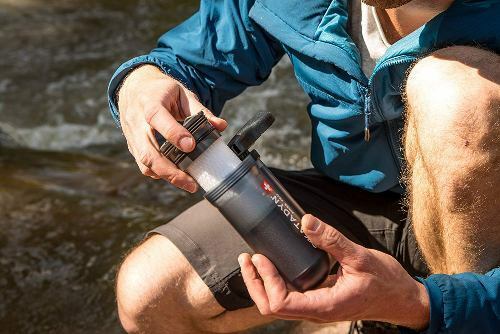 Here are our top eight best water filter for camping with an included buyer’s guide, an explanation of the different treatment types and answers to some frequently asked questions. The SteriPen Ultra is a different story from previous SteriPen models whose designs impacted on performance. 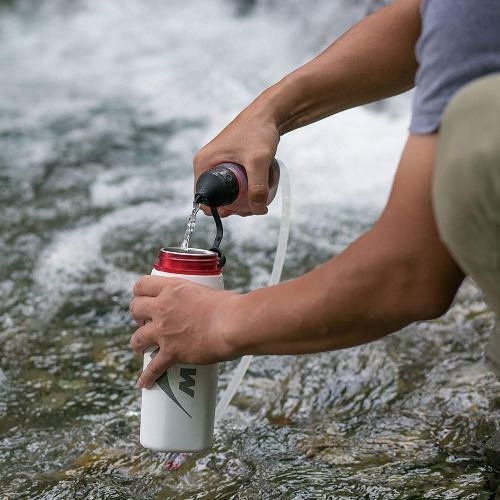 This SteriPen ultra water purifier makes it safer to drink water in less than 50 seconds wherever you are, lessening the need to store water while hiking or traveling. This water purifier utilizes UV light to turn non-portable water into one that won’t affect the drinker. This unit has been tested and proved to be effective in getting rid of 99.9% of viruses, bacteria, and protozoa which lead to water-borne illness such as cholera. The UV form of purification is an excellent option because you don’t need to boil your water or add chemicals. It makes the process of water filtration simple, making it our best choice water filter. Are you on the hunt for a water purification mechanism that is super reliable, light and gets rid of waterborne nasties? 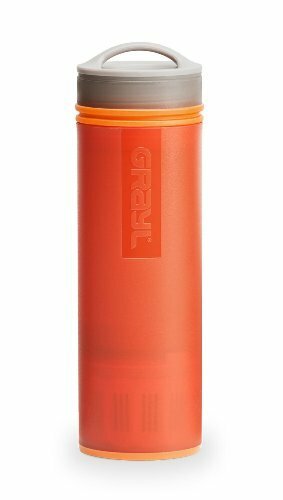 Then, you can pick up the Grayl Ultralight water purifier. It is a superbly practical and portable bottle that is fast. It doesn’t only get rid of all the nasties that come with bad water, but it also saves you time while you are on the trail. It is easy to use as you have to scoop in some amount of water, push down on the interior press and drink! More also, it is highly effective as it removes 99.9% of protozoan cysts, virus and bacteria. 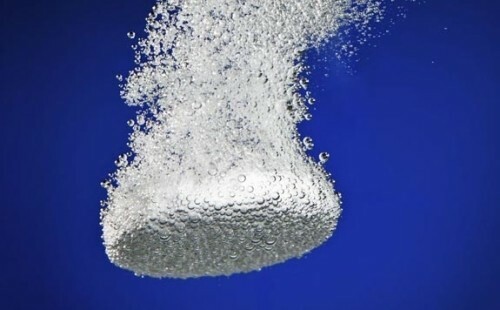 It filters heavy metals, chemicals, and particles. This is our recommended best portable water purifier. 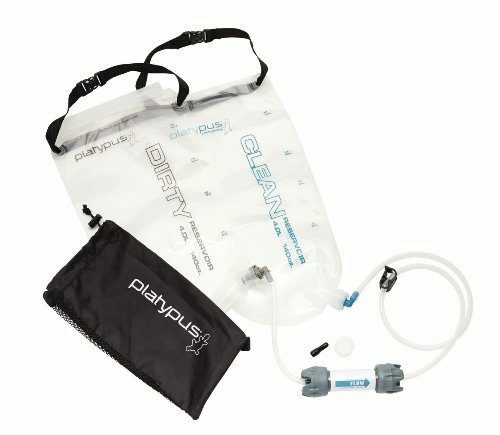 Lightweight, reliable and easy to use, the Platypus GravityWorks 4L is a filtration system that allows you to set it, then forget about it. It is an excellent choice for solo and group backpacking alike. It is a filter that removes particulate, protozoa and bacteria from your water before you can drink it. Though it does not filter viruses, it gets what is most common in the backcountry. As its name suggests, it works with gravity as you need to hang it up and allow gravity to filter your water. It is one of the best gravity water filters on the market. The Trailshot is a new MSR model which works with a one-handed squeeze. Pocket-sized and straightforward are the two words that come to mind when describing this water filter. It is an ultralight backpacking water filter. Despite its compact size, it delivers efficiently. If you are an adventurer who desires a reliable and adequate water filter without much weight, this is an ideal option. At just five ounces, this ultralight filter can fit into your pocket while trail running, hiking, mountain biking or backpacking. It is an excellent tool to have in emergencies as it provides clean water quickly. You can drink straight from water sources (e.g., rivers) you encounter on the road through its tube attachment. You can still fill in a water bottle and filter a liter in a minute. This Sawyer water filter works hard as your intestine’s guardian against sources of drinking water that are questionable. It offers several options to cleanse contaminated water. It can fit into any part of your backpack as it is super light. Its filter pore size is small enough to block unwanted protozoa and bacteria while still letting in clean water. You can decide to squeeze out water through the filter or drink through a straw. 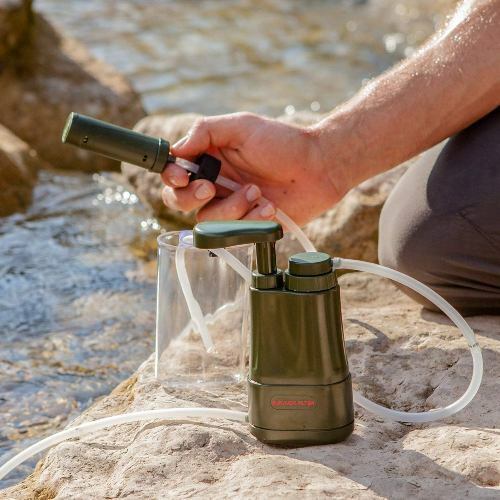 The Sawyer mini water filter can be set up to work as a gravity filter. 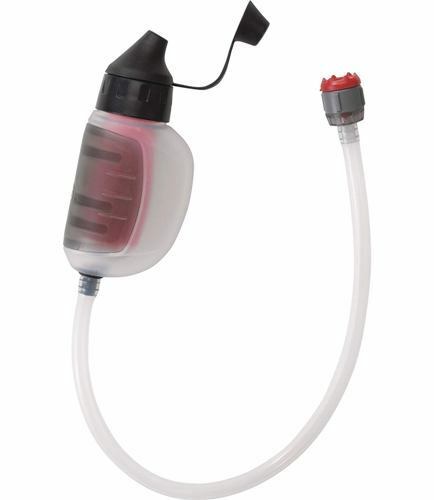 Backpackers have used this water microfilterackers for over ten years. Though it is a pump-mode filter which is not so popular; it has some superb features, and it gets the job done. 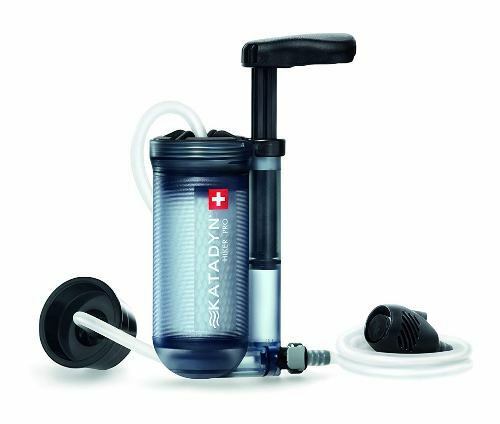 For a pump filter, this Katadyn water filter is lightweight, but it feels heavy in hand. In short, if pumping is too much of a chore for you, it will be better you go for filters with UV purification or those that are gravity-based. However, it is highly effective against all protozoa and bacteria with the 0.2 standard micron size. 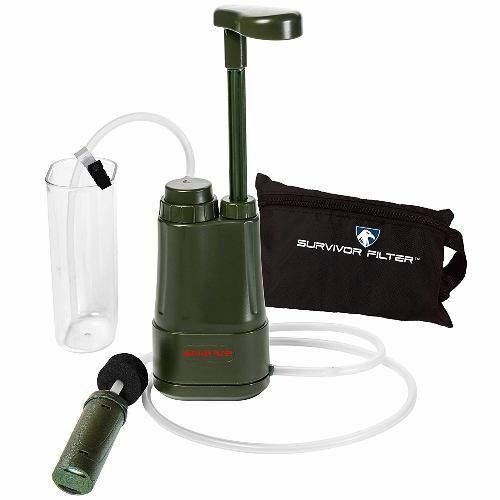 This is ideal for filtering out clean water for a solo camper or a large group of people at the campsite. But even while fishing, you can utilize it by placing the pre-filter into the water and then pumping clean water on the boat. As it’s lightweight and portable, it is perfect for emergency preparedness and international travels. It has been tested to be effective against protozoa, virus, staph, and bacteria. 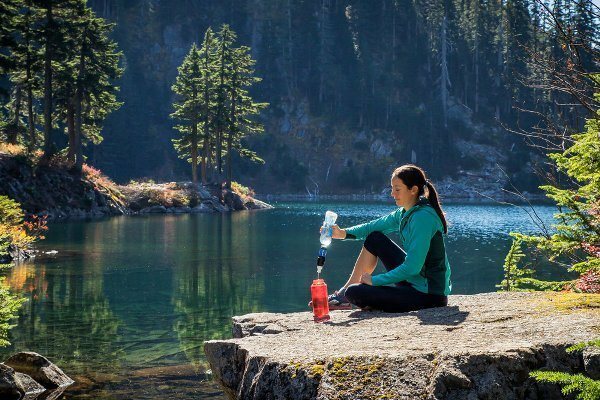 With three levels of filtration, this backpacking water filter improves on the odor and taste of the water. It is said to exceed the EPA water filters' standard. This MSR Guardian Purifier follows in the old tradition of the hand pump style which weighs a lot, is stressful but quite efficient. It is efficient in such a satisfying way that its negative points fall away. It’s a water purifier which pumps 2.5 liters each minute, and it automatically backflushes. It gets rid of protozoa, bacteria, and virus which is the total of what you’ll encounter while on the trail or in a foreign country. It’s a superior heavy-duty filter that treats up to 10,000 liters of water, endures freezing temperatures, heavy use, drops and all forms of harsh environments. 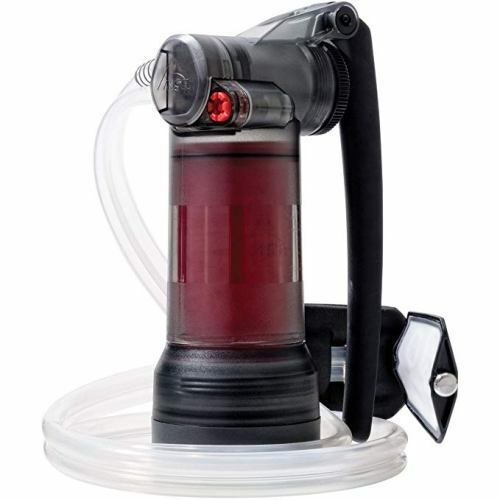 There are several things to consider when purchasing a portable water filter or purifier. Here are some things to look out for. You need to be conscious of the exact purpose your device is going to serve. There is no point buying a heavy unit when you need a water filter for traveling. So, you should take the weight of the product into consideration before you buy it. If you are going backpacking, you should aim for light products. There is a particular rate at which a portable water filter sieves contaminant away. You should consider it while going through the specs of the model before purchase (this is a must). This is also called flow rate. Some can only release a few ounces of water in a minute while some release more within the same timeframe. Units with a high flow rate are advantageous for camping or traveling with a large group. If you’ve done your research on the product you want to buy, you’ll come across the term “filter pore size”. The pore size is measured in microns. It merely refers to how tiny the openings in the filter are. The tinier they are, the more pollutants the filter can block. Most of the units reviewed are between .1 or .2 micron which is the standard. This is another term you should have come across. It refers to the durability of your filter – how long you can use it before you need to replace it. Every water filter has a limited lifespan, and you should take the manufacturer-listed spec as the maximum lifespan. You might be able to use some for only a few days while some can last for months. Portable lifespans with the best quality last for a longer period. The amount of polluted water you can clean up with a cartridge depends on the model. Some afford you the luxury of cleaning up to 100,000 gallons such as the reviewed Sawyer Products Mini Water Filter. How easy is it to apply? As portable as these water filters are, not all of them can be employed easily. Some are very easy to use, and for those that seem complicated, you can go through the instructions that are included in their package. The best way to buy a water filter without breaking the bank is to first set a budget before perusing for one. Different models, different prices. Does this mean that the most expensive is the best? No! Just be sure of the quality of what you are getting. Lots of top-quality water filters can be obtained at affordable prices like those in this review. Since these filters are responsible for removing pollutants from your water, it is expected that you clean them. Most of them require you to backflush clean water via the filter. While some can make self–clean by ejecting the contaminants back into their source like the MSR Guardian Purifier. While some require complex processes just to be maintained. In essence, before taking out your water filter, you need to read up on how to maintain it, so it doesn’t flop. If you’re not that much of a maintenance person, you can opt for models that do not need maintenance. If you are particular about your water tastes, you need to be careful about your choice. While most water purifiers and filters can get rid of bacteria, protozoa, and virus, they do not take care of how your water tastes. If your water source is decent, this might not be an issue. But, the lesser the quality of your water source, the more of a problem it is. Carbon filters also help with the taste of the water. Some of the filters on our lists like the Grayl Ultralight Purifier and the Katadyn Hiker Pro include carbon filters while some like the Platypus GravityWorks 4L offers it as an accessory. Your water filter or purifier might malfunction while you are still out on the field. So, you can include a light chemical purifier in your backpack for emergencies. Thus, you don't run out of clean water while on the trail. If it isn't an extra load on you, you can take a backpacker stove and fuel so that you can heat your water in such scenarios. Different treatment modes can be used for water filtration. There are 8 types which are widely used ie, pump filters and purifiers, gravity purifiers and filters, ultraviolet (UV) purifiers, squeeze filters, straw style filters, chemicals and boiling. This method dominated backcountry water filtration until it was recently overshadowed by new technology like UV and gravity. A pump filter operates by pumping to draw off water from the source, via a hose, into a little filter and out through another hose into a clean water vessel. 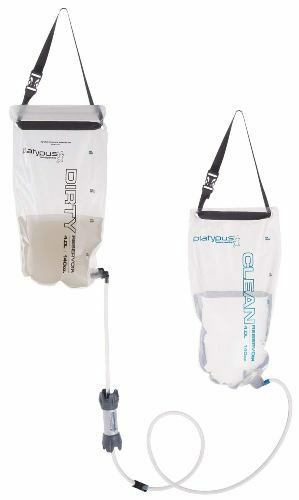 Unlike gravity filters, they are great for use while you are on the trail. There are different pump mechanisms and as they differ, so do flow rates. Take for instance the SteriPen Ultra which employs this method. You place it in the water, press a button and swirl it around. Stop in about a minute or so when the light goes off or turns green on some devices. All the water in the bottle you placed it into will have been treated. 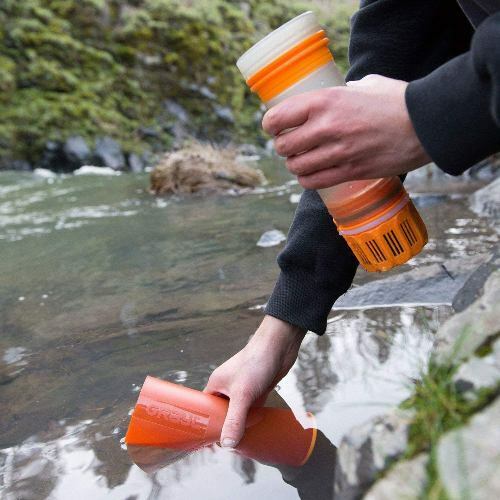 This is one of the easiest ways to get water while in the backcountry. 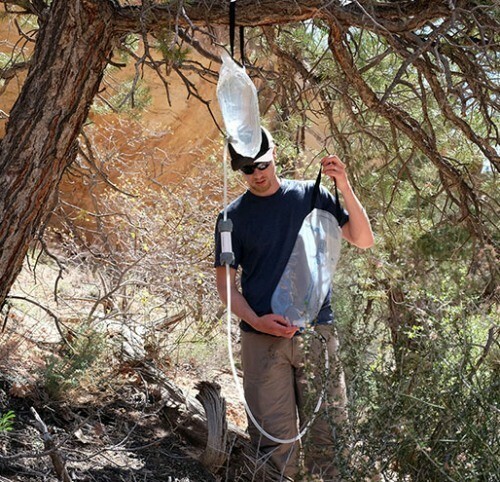 Once you have a not-too-bad water source, fill up your dirty bag, hang it from a hook or tree and see gravity in action. Instead of you having to pump or employ a UV light, clean water flows downwards via the filter and into a separate tank for drinking purposes. This water treatment style is very simple to use. Just fill in the bottle and let the built-in purification or filtration elements do the work. While some of these bottle filters operate like a coffee press, some operate with suction when you drink from the valve. This treatment method is almost like that of the bottle filtration style. But, in this case, you fill in a relatively small tank and then squeeze out water via its filtration component. This kind of treatment style is not suitable for group backpacking. Check out size before purchasing because the size of the bottle varies depending on the product. 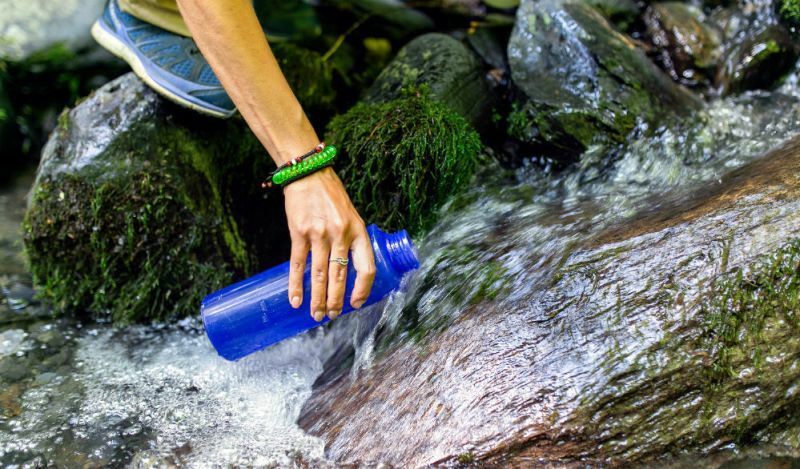 Straw filters or purifiers are mostly used by trail runners, mountain bikers and day hikers who do not want to carry the extra load of water as they move. With the straw treatment type, they can drink water straight from its source. The suction pressure is used to move water from a water source – lake, stream or bottle through the filtrating unit and into the mouth. That is, they are cylinders with integrated elements that enable you to drink directly. This method works well against viruses, bacteria, and protozoa. All you need to do is add them to the water you intend drinking and wait a while. These products are either based on chlorine or iodine, and they are available in various modes – pills or drops. Stove, pot, and fuel can also be utilized in battling biological pathogens. To make your water consumable, boil it for about a minute but if you are close to 7,000 feet, boil for 3-4 minutes. Several people are using these two terms interchangeably, but they do not mean the same thing. Essentially the difference between the both is determined by the microorganism they can battle against. Water filters which are the most popular, fight against the more common bacteria – Salmonella, Shigella, and protozoan cysts – Giardia lamblia. These pathogens are the common concerns if you are traveling in Canada or the U.S. Water purifiers fight against viruses – norovirus, rotavirus and Hepatitis A in addition to bacteria and protozoa. Water filters are cartridges with microscopic pores that can eliminate harmful substance like bacteria and protozoa. Purifying water takes place through the application of ultraviolet light, tiny fibers or chemicals. 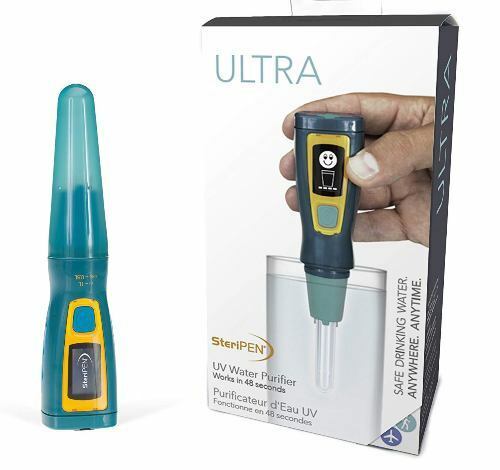 There are however some models that combine both water purifying and water filtration like the SteriPen Ultra which was reviewed earlier. 1. How regular should my backwashing be? Once you notice that your flow rate is deteriorating, we recommend that you backwash your filter. Also, you should backwash when you pick up the filter again after a long time of storage. 2. How can I determine the time to replace my filter? Well, this depends on the filter. The manual that comes with the filter should also give you a heads-up on when replacement is required. Some filters have a measuring device that lets you know it’s time for a replacement. For most of the reviewed water filters, you know it’s time for a replacement when it becomes difficult to pump or after a specified amount of water has passed through it. 3. How do I know the cleaning requirements of my filter? The cleaning requirement for a filter varies from product to product. So, it is usually specified in the specs of the product provided by the manufacturer. 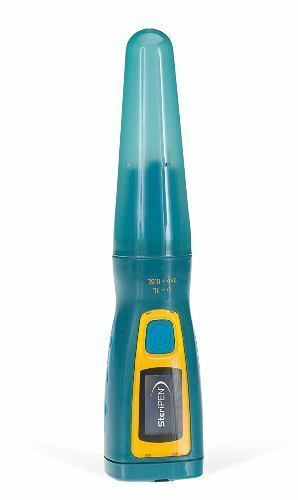 After a careful review of the 8 best water filter for camping, we find the SteriPen Ultra to be the best among them all. It doesn’t only combine filtrating elements with purifying, but it also has excellent features. It is lightweight, has an OLED display which is not found in the rest. It is WQA tested, has a healthy battery life and provides drinkable water in less than 50 seconds. We rate this water filter 4.6 stars of the possible 5. If you find this review useful to you, feel free to share this with others.